The Breg T-Scope Knee Brace provides post-op protection with a telescoping design to fit virtually any size patient. 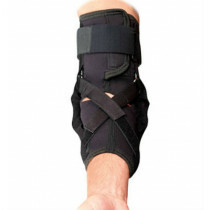 The brace features telescoping hinge bars that extend from 17" to 27" to fit every leg length easily. Quick styled lock tabs are used to lock the brace in full extension, and allows simple range of motion adjustments. 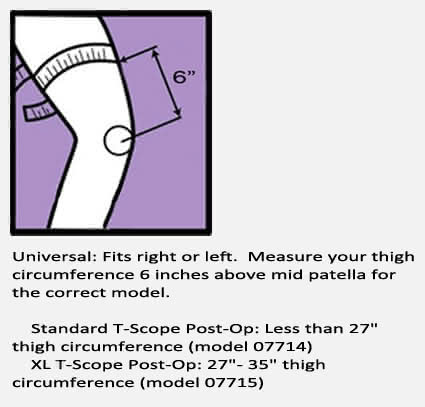 The T-Scope knee brace is available in both a cool "minimal foam" model or with full length foam for use in cold weather. Telescoping hinge bars extend from 17 inches -27 inches (43cm - 68.6cm). Strap lock clips keep the brace easily secured to the uprights. Quick clip buckles for easy on/off. 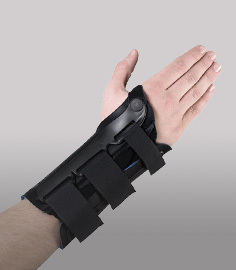 Quick lock feature locks the brace in any range from 10 degrees of hyper-extension to 30 degrees of flexion with the push of a button. 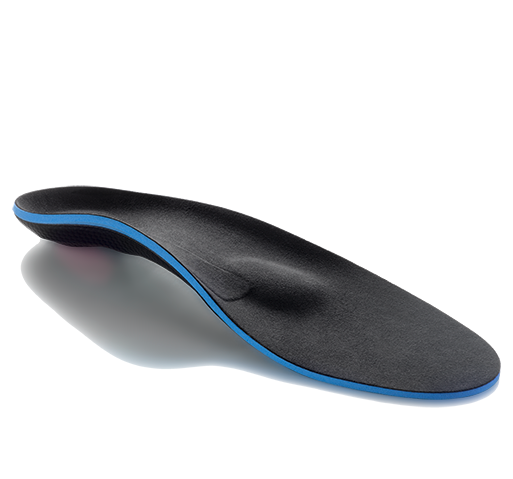 The rest of the hinge can set both flexion and extension range of motion limits with ease. Available in a reduced foam, cool version for greater breathability that's perfect for warmer climates, and a full foam version (additional charge) as well. Please see our sizing chart tab above for important sizing instructions. Fully adjustable length telescopes from 17- 27 inches.  This is easy to put on, take off and adjust; the markings are easy to see and the adjustment of pulling out the tab and sliding to the desired angle is much better than using metal pins like there is in some ROM moon boots.